This simple workbook is the perfect place to get started and begin to ask yourself some of the most important questions when it comes to how you have been defining your worthiness and your weight. Packed with content helping you reflect and rebuild to finally learn how to love your body and truly start embracing your life! Self-esteem and body image struggles not really your thing but still want to work on your relationship with movement and eating? Then this workbook is the one for you! Learn how to move for the right reasons, eat in a balanced way that you truly enjoy and start living a life you love! 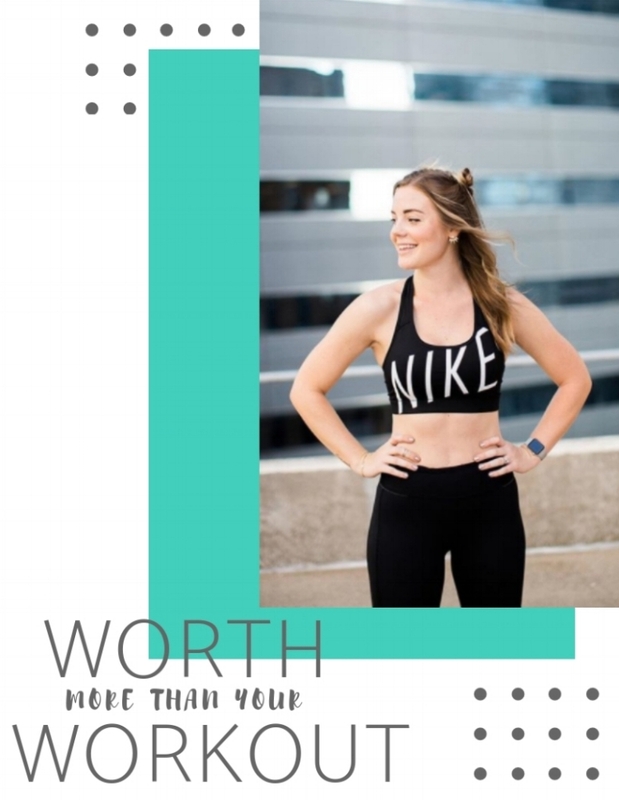 I’ve included workouts, recipes and of course some amazing content to help you rethink how you’ve been approaching your routine and eating habits. We could all use a little help reminding us about what’s most important in our lives (even the little things)! So I created this simple calendar for you to use to remind yourself that you are worth it and worthy of these little tasks. Showing yourself daily in small ways that you are worthy of this time will not only shift how you approach your day but over time you will soon see the internal and external shifts with making both your mental and physical health a priorety! Sometimes the best way to remind ourselves of all we are capable of is to see it visually. Your mind creates pathways based on your most common thought patterns. Are your thought patterns telling you how amazing, loved, or worthy you are? If not, the simple way to change that is by downloading these mirror affirmations and placing them around your house, office or fridge to daily remind you of all of these truths! Want all these goodies? Download the bundle now!